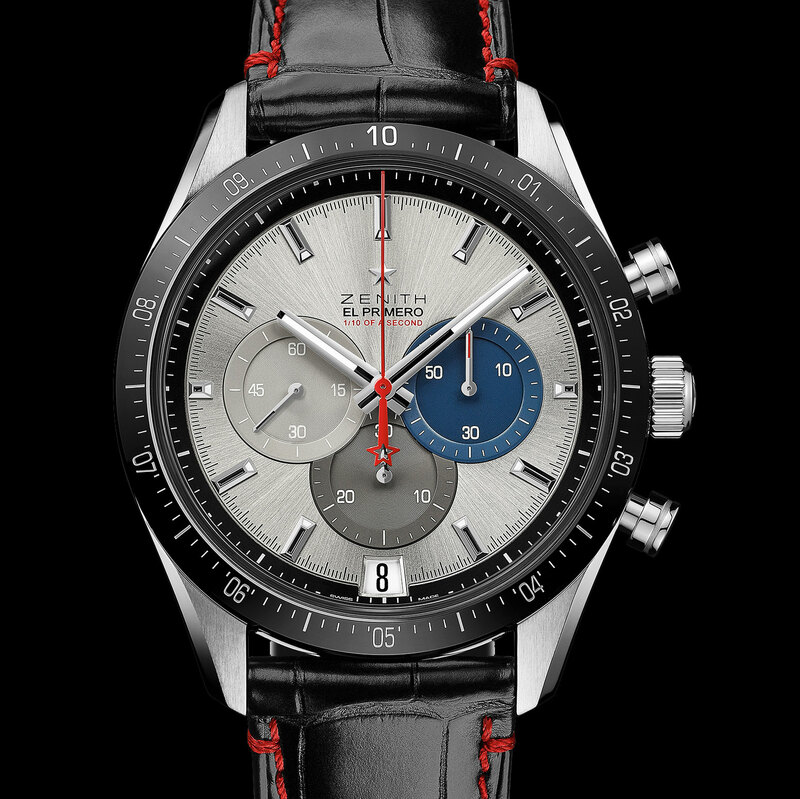 Zenith is marking the 50th anniversary of its definitive movement – the El Primero chronograph of 1969 – with a three-piece set that is made up of the most important El Primero-based watches. The three piece set is bookended by the most basic and the most advanced El Primero, all sharing the the signature tricolour chronograph registers. The El Primero A386 Revival (pictured above) is pretty much a one for one remake of the original of 1969, with a 38mm steel case and the El Primero 400 movement inside. 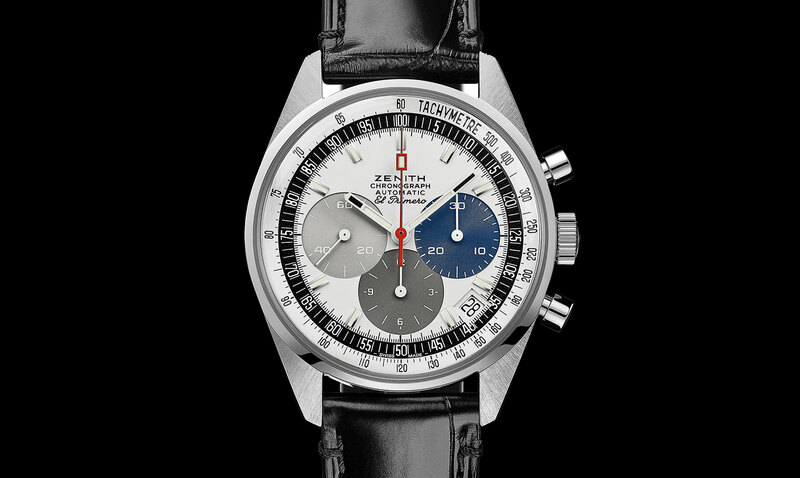 According to Zenith, an original 1969 El Primero A386 was “laser-scanned” to produce an exact replica, which even duplicates the “tachymeter scale, font, the shapes of the hands and hour markers”. The only concession to modernity is the sapphire display back that shows of the movement. In contrast the Defy El Primero 21 takes the movement to a new level. The El Primero 9004 inside has twin escapements, one running at 36,000 beats per hour for the time, and the other running at 360,000 beats per hour for the 1/100th of a second chronograph. It’s in a 44mm brushed titanium case with a partially open-worked dial to reveal some of the chronograph mechanism. But arguably the most significant watch of all is the Chronomaster 2 El Primero, powered by the El Primero 3600. 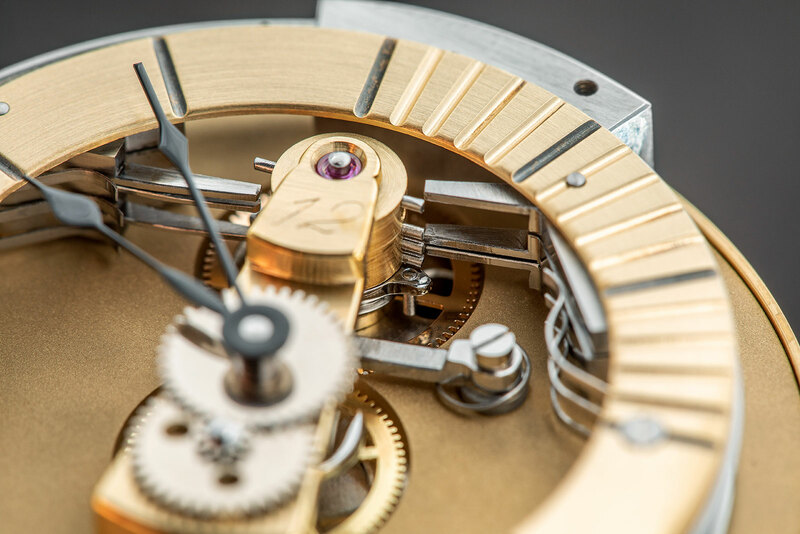 While the original movement is a landmark, it is half a century old. The El Primero 3600 is an “entirely redesigned movement” that’s based on the original but upgraded in construction and function. It still retains the 36,000 beats per hour frequency and column wheel, but the chronograph has been redesigned as a true 1/10th of a second chronograph, incorporating the chronograph mechanism first developed for the El Primero Striking 10th of 2011. 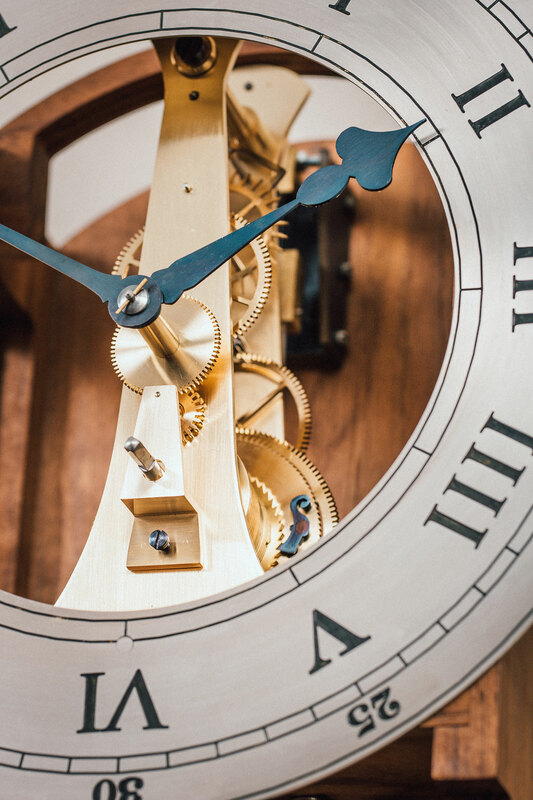 It features a central hand that makes one revolution every 10 seconds, a 30-minute register at six o’clock and the 60-second register at three. But the base movement has also been upgraded with a longer, 60-hour power reserve, as well as a hacking seconds for more precise time-setting. The Chronomaster 2 El Primero has a 42mm steel case with a black ceramic bezel. The 50 Years of El Primero Anniversary Set is limited to just 50 sets, each presented in a large box with a touch screen, and an interior built like a miniature watchmaker’s bench, complete with an adjustable magnifier and light. 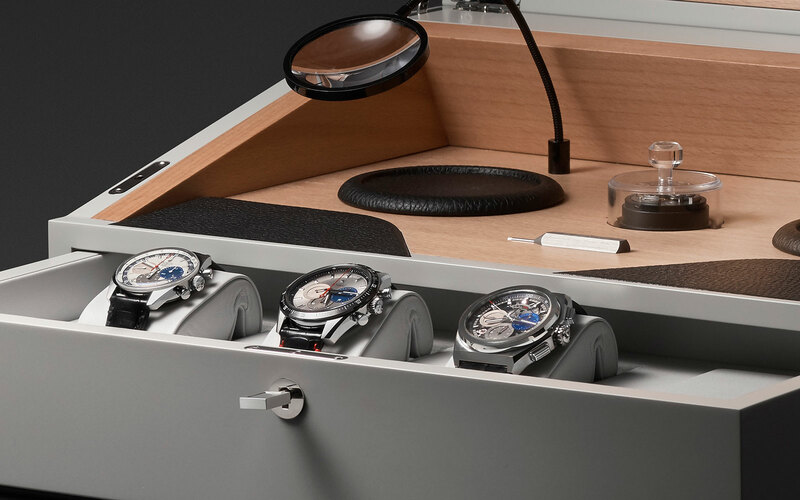 The drawer inside accommodates four watches, with an empty slot for an upcoming 1/1000th of a second that Zenith plans to unveil in the future. Owners of the anniversary set will be given the option to buy one to match the rest of the set. Notably, the box includes an actual die (or stamp) for the El Primero 400 chronograph coupling wheel. Each buyer of a set will be invited to Zenith’s factory in Le Locle to stamp out two wheels, one to keep and the other to be engraved with his or her name and installed near the entrain to the attic where the El Primero production tools were hidden during he Quartz Crisis. 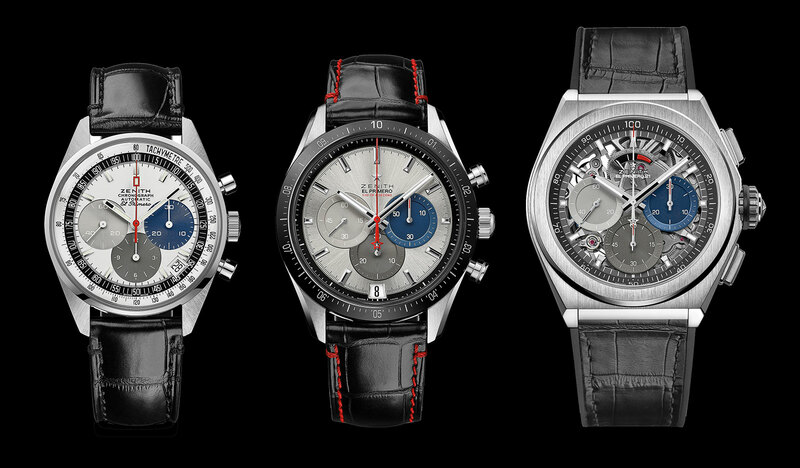 The 50 Years of El Primero Anniversary Set is priced at SFr50,000, or S$69,000. The individual watches are not available separately. For several years now both A. Lange & Söhne and F.P. 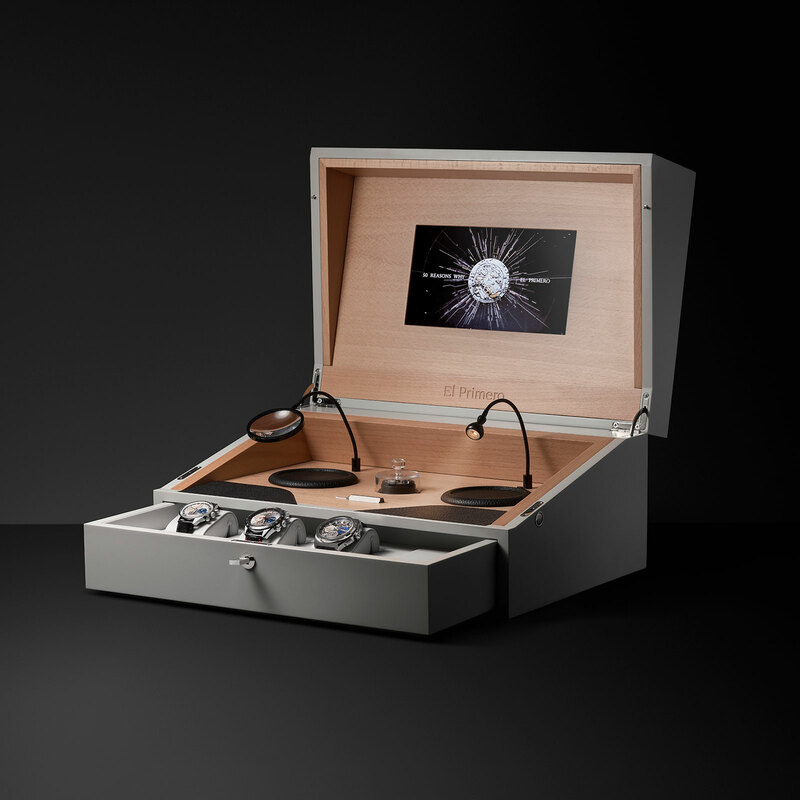 Journe have handed out prizes to the best young watchmakers during SIHH. 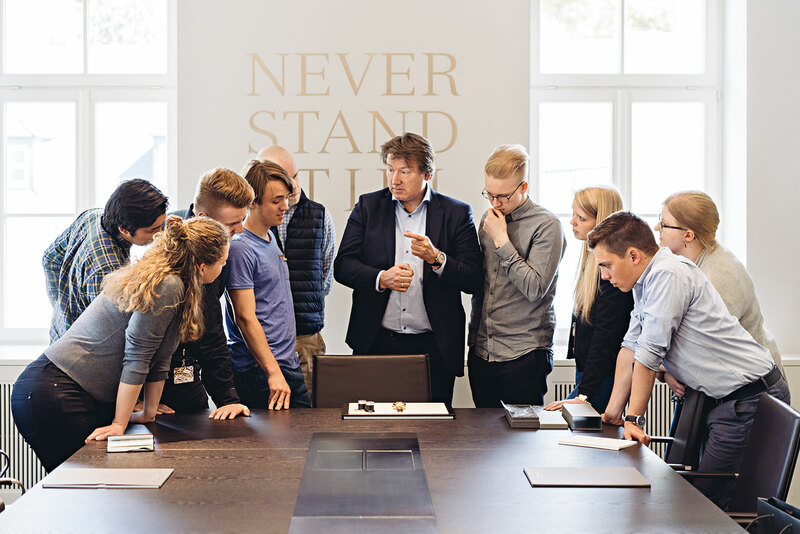 Over at A. Lange & Söhne, the Walter Lange Watchmaking Excellence Award was a project nearly a year long, with eight watchmakers taking part. 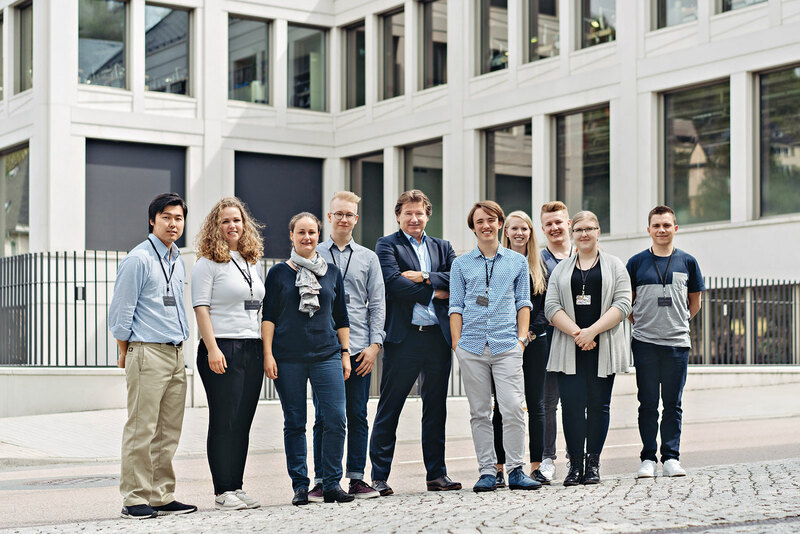 Hailing from Finland, France, Japan, the Netherlands, Switzerland, and of course Germany, each of the watchmakers was nominated by their respective national watchmaking schools. 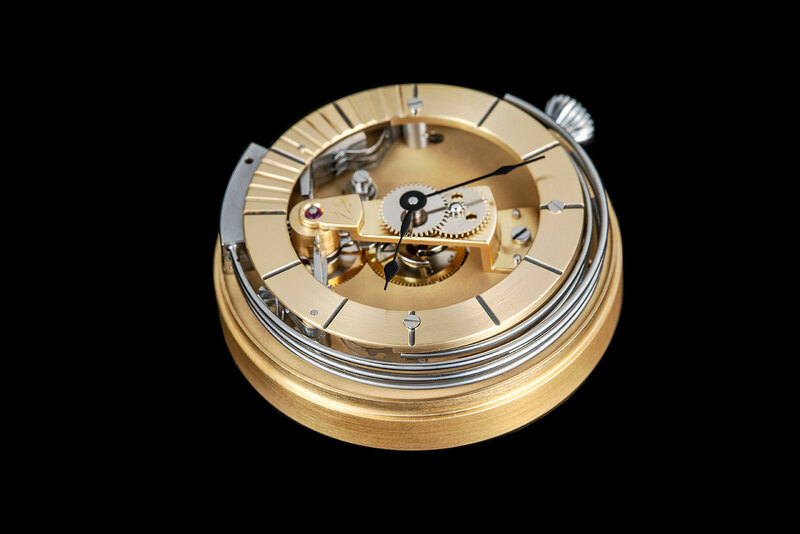 The assignment was “design and build an acoustic indication” on a Unitas base movement, with watchmakers given half a year to complete the job. Tasked to pick the winner were Lange’s head of product development Anthony de Haas, German watch journalists Gisbert L. Brunner and Peter Braun, and Dr Peter Plassmeyer, the director of the Mathematisch-Physikalischer Salon museum in Dresden. 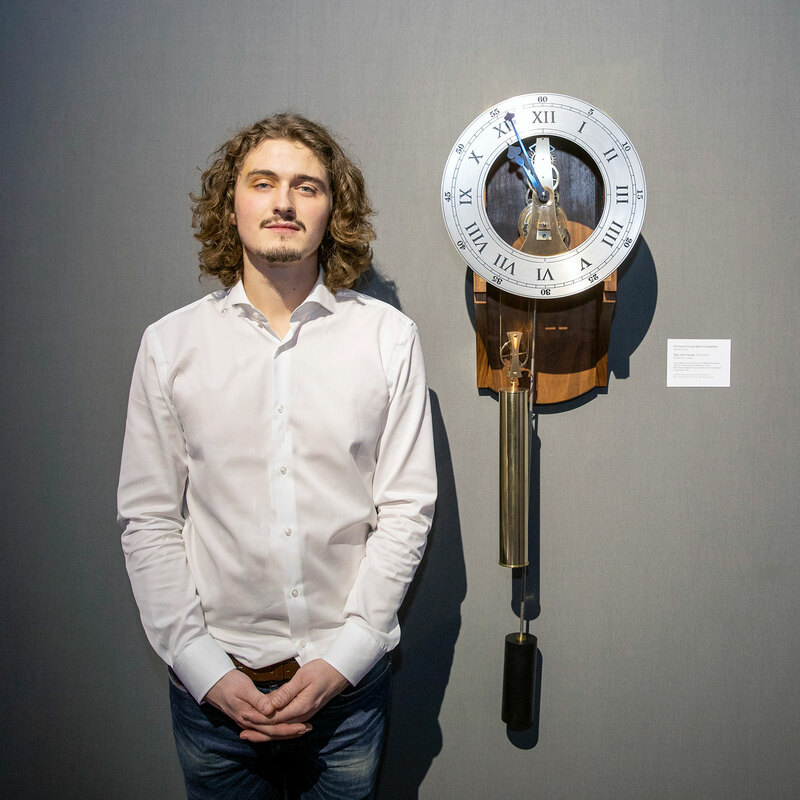 This year’s winner was Otto Peltola, a 22-year old Finn studying at the watchmaking school of Espoo, Finland’s second largest city, who built a watch movement that sounds on the quarters with different tones. 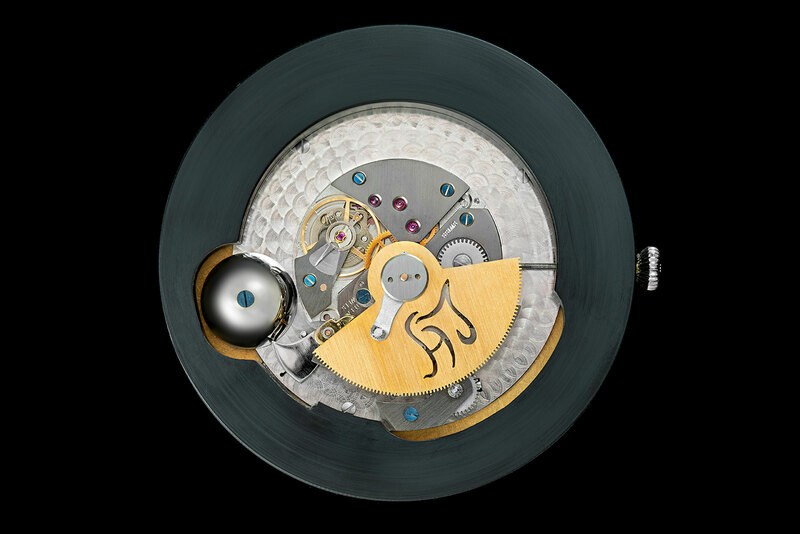 Named Ostinato, the movement features an unusual striking mechanism reflecting the fact that Mr Peltola hails from a family of musicians. He took home a prize of €10,000. Two students also received special commendations for exceptional work. 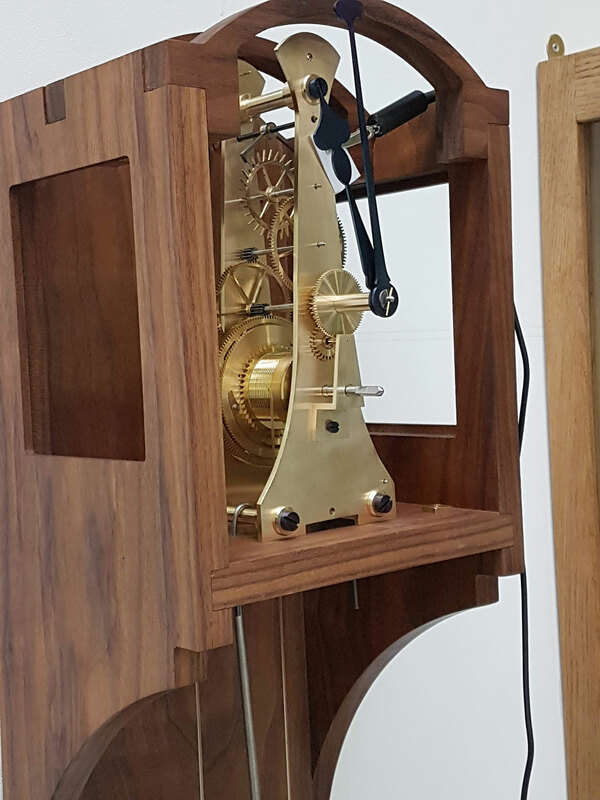 Linda Holzwarth of Pforzheim’s watchmaking and jewellery school built an acoustic power reserve indicator featuring a differential gear she designed. She also incorporated decorative touches like a pierced rack for the indicator and guilloche dial. And from the other side of the world, Yutaro Iizuka of the Hiko Mizuno College of Jewelry in Tokyo built a movement that has a peripheral ring made of native Japanese stone that is struck by the hammer. The F.P. 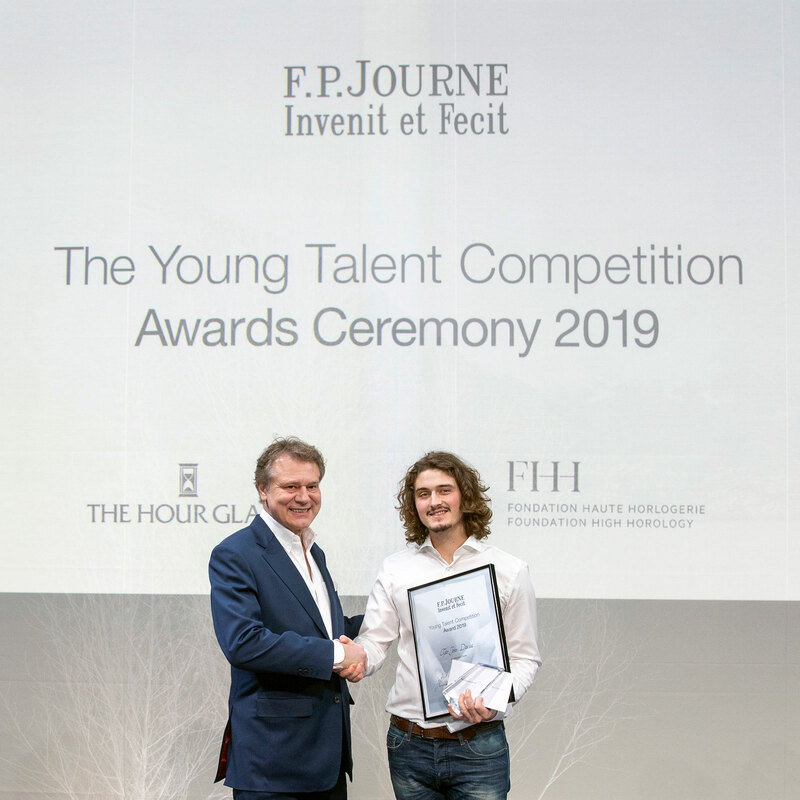 Journe Young Talent Competition has been staged annually with the support of the Fondation de la Haute Horlogerie (FHH), the body that organises SIHH, and from 2019, Singapore retailer The Hour Glass. 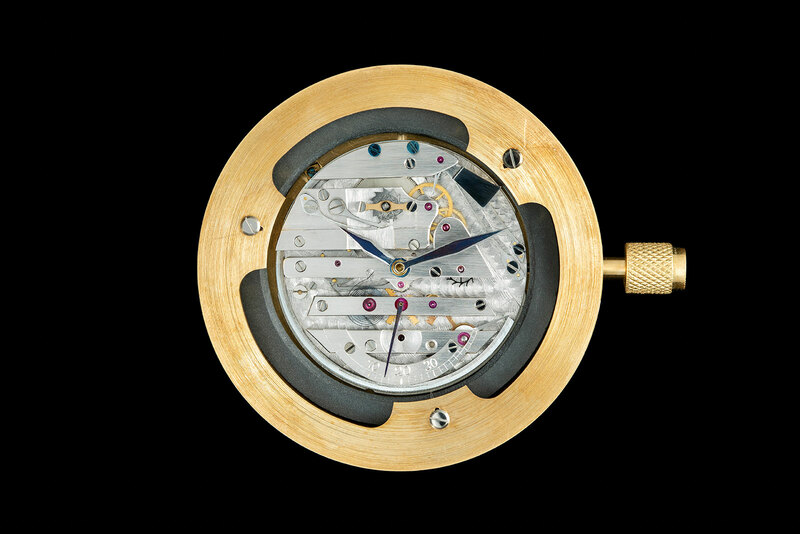 Entries were judged by a jury of horological notables: independent watchmakers Philippe Dufour, Giulio Papi, Andreas Strehler and Marc Jenni, Pascal Ravessoud of the FHH, Michael Tay of The Hour Glass, watch journalist Elizabeth Doerr, and François-Paul Journe. The winner this year was 27-year old Tyler John Davies, a recent graduate of the School of Jewellery at Birmingham University. 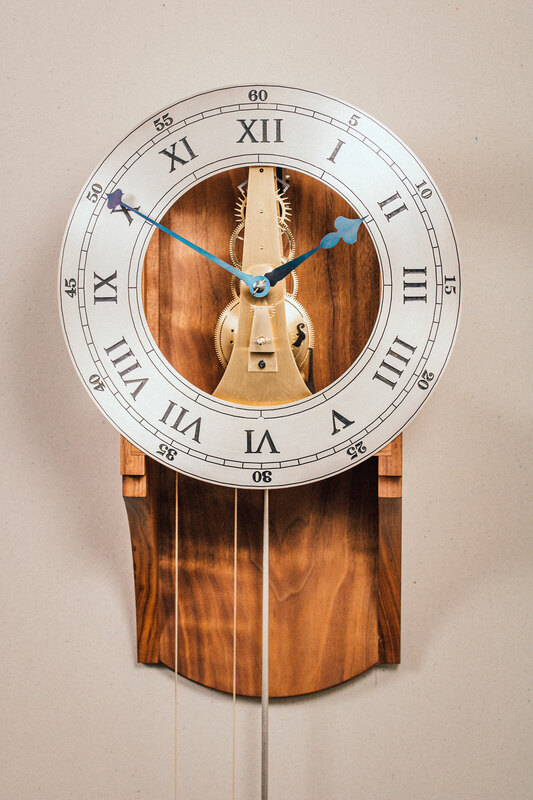 He built an eight-day, weight-driven wall clock with a deadbeat escapement that sits in an American black walnut case. Mr Davies received a prize of SFr10,000 to buy watchmaking tools.